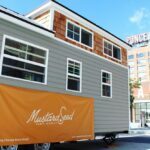 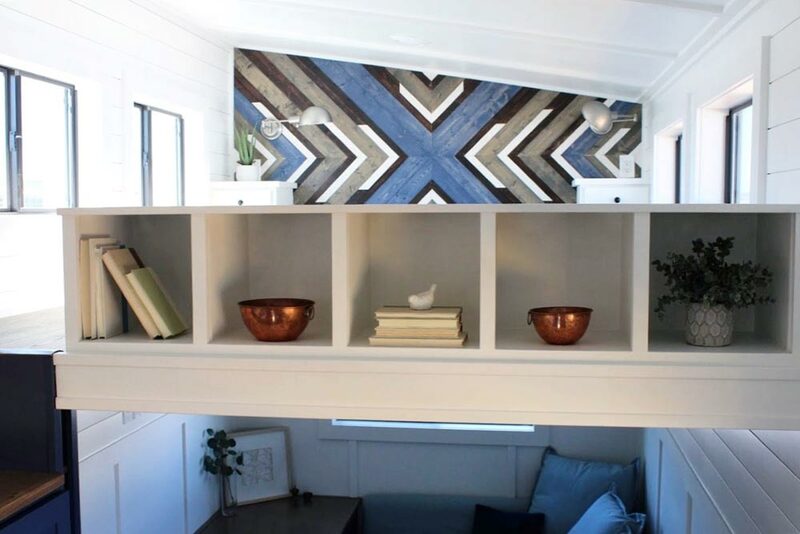 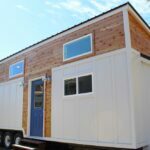 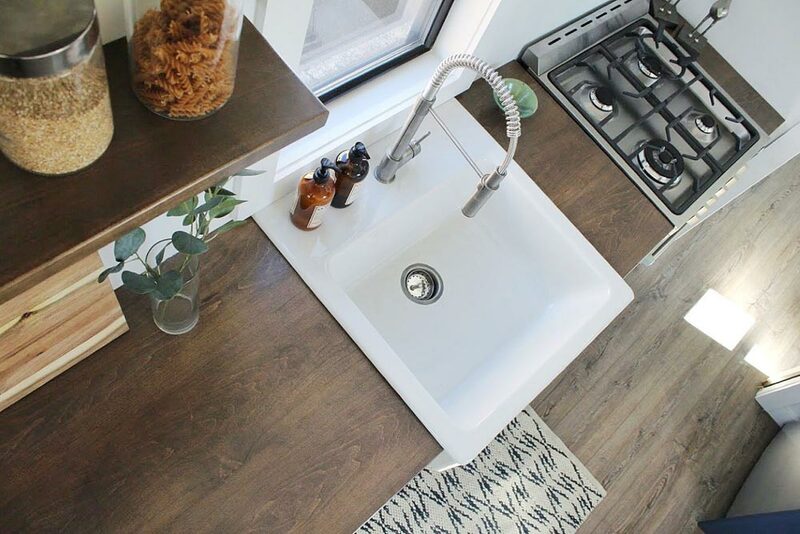 The Juniper was originally a custom build by Mustard Seed Tiny Homes, but since they have received so much interest in the home, they are now offering it as one of their models. 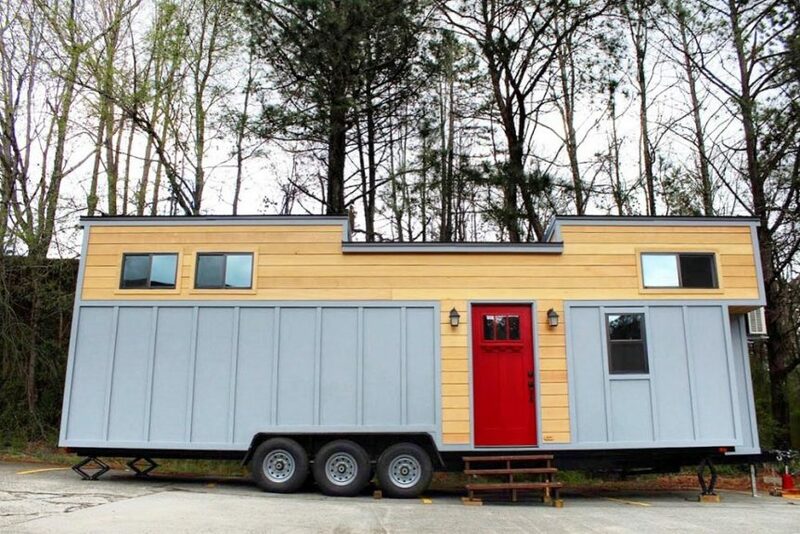 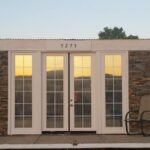 This model is 31-feet long and offers over 400-square-feet of living space. 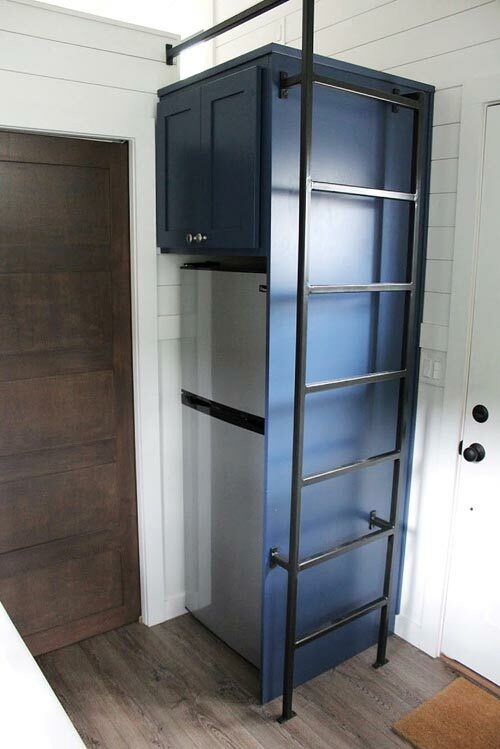 Options are available between 28 and 34 feet long. 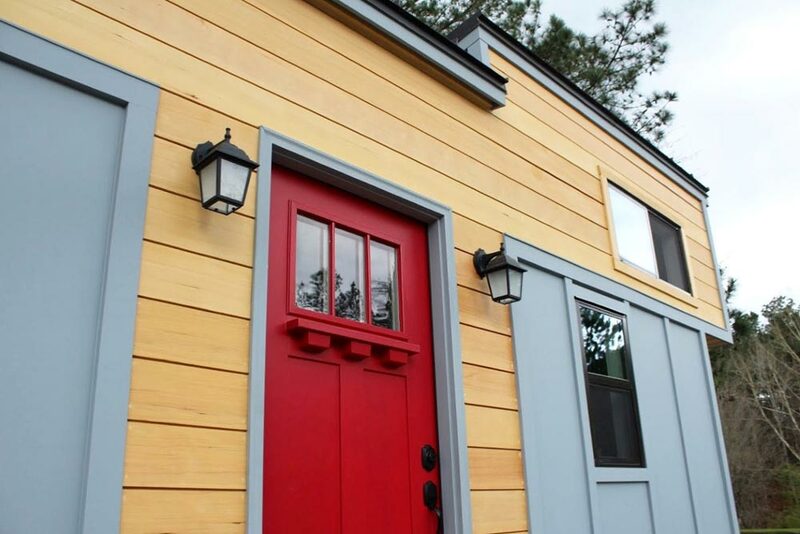 The exterior of this triple axle home combines board and batten siding with natural wood siding across the top. 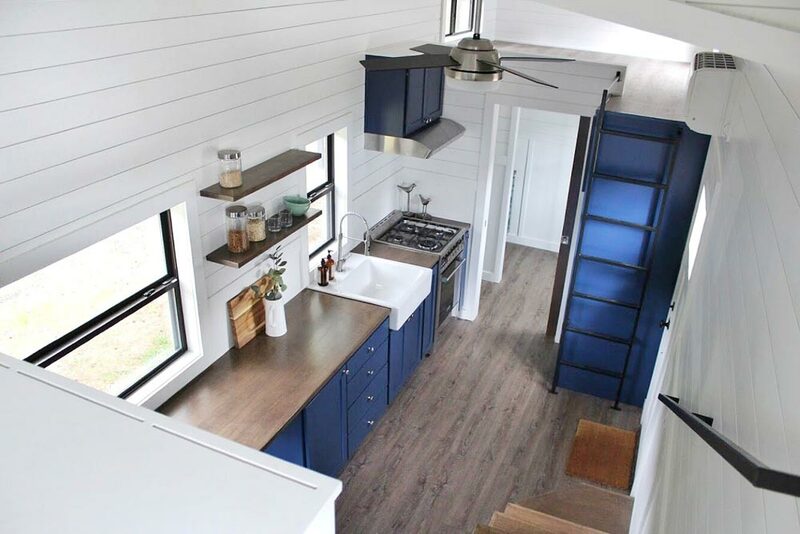 The shed style roof offers extra headroom in the two lofts. 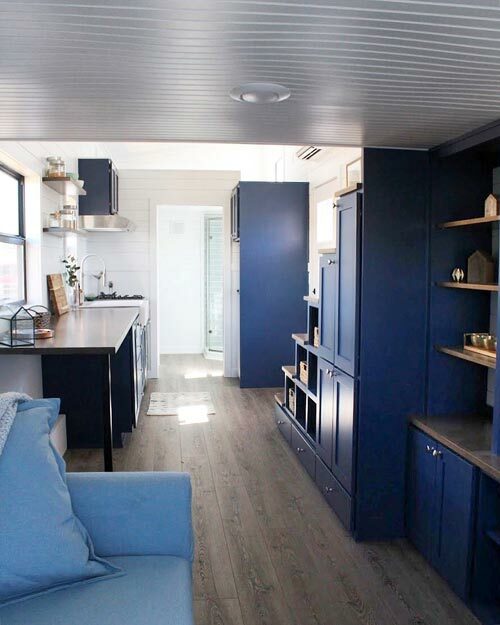 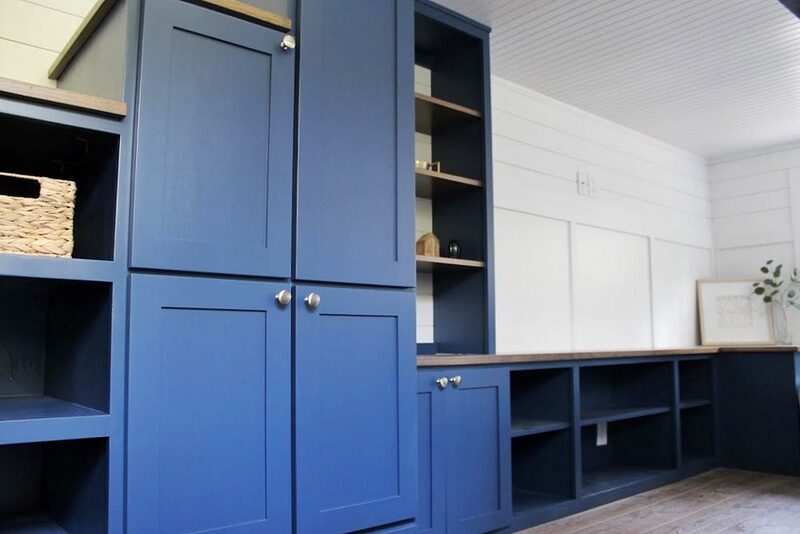 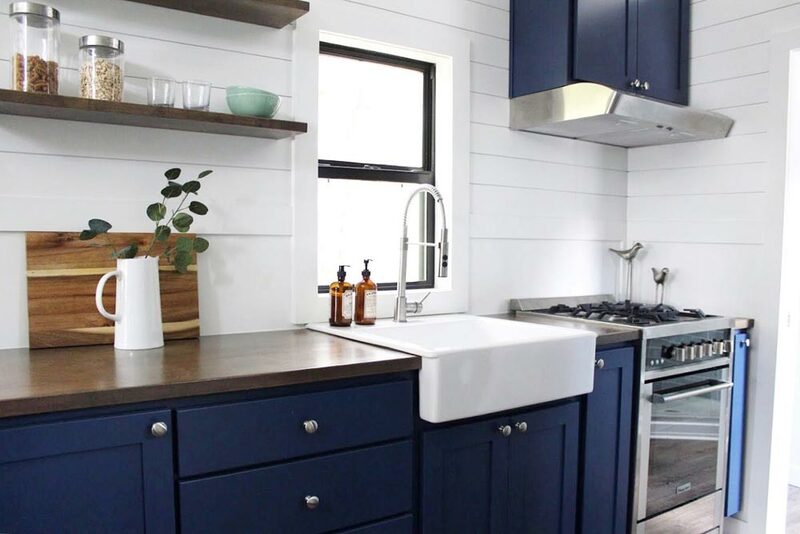 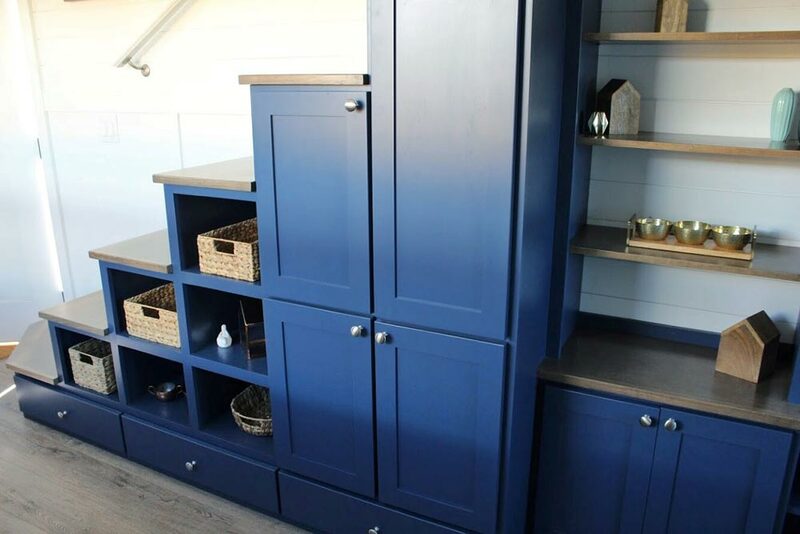 Inside the Juniper, bold blue cabinets and wood elements provide rich color while the white walls help create a sense of space. 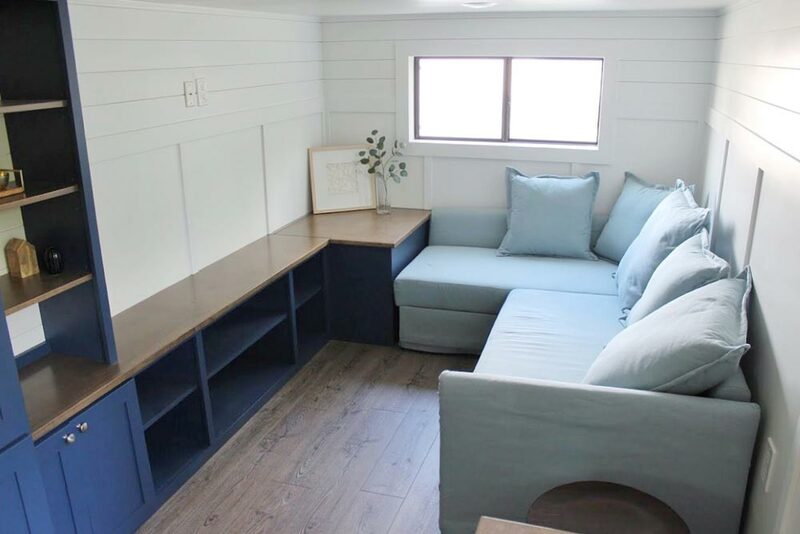 The living room has a built-in entertainment center and L-shaped couch. 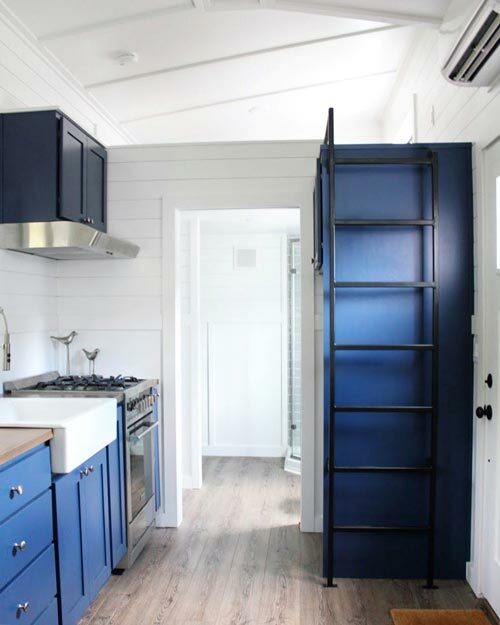 Storage stairs provide several storage spaces and lead up to the main bedroom loft. 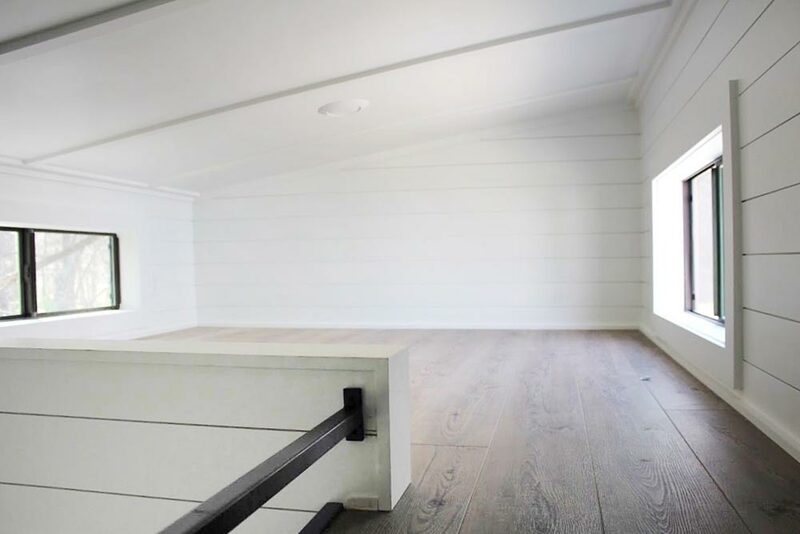 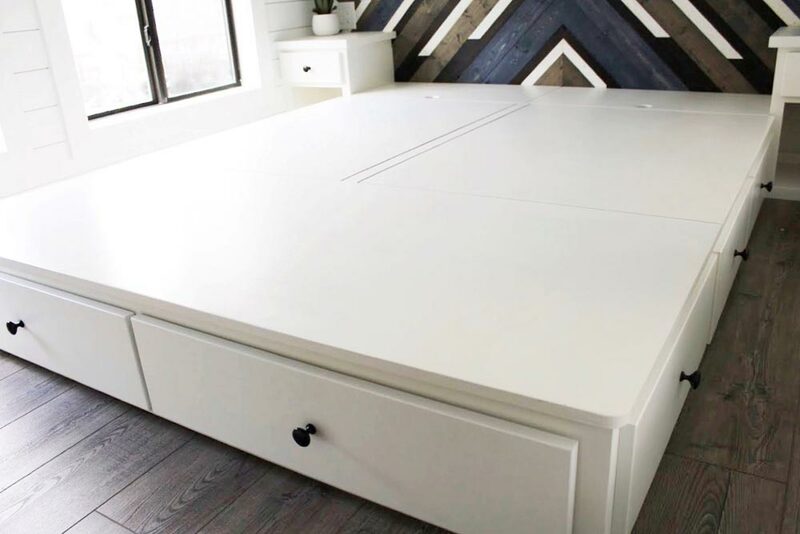 In the loft is a beautiful custom headboard, nightstands, and bed platform with storage. 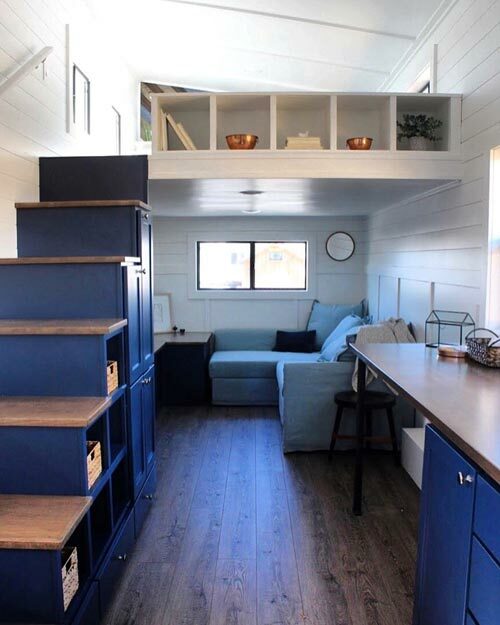 Across the house is an additional bedroom/storage loft with ladder access. 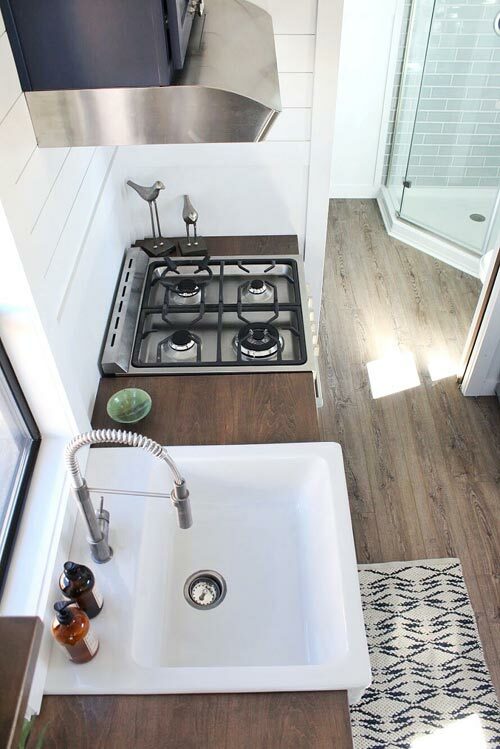 The kitchen is equipped with a white apron sink, freestanding gas range with venting hood, and refrigerator. 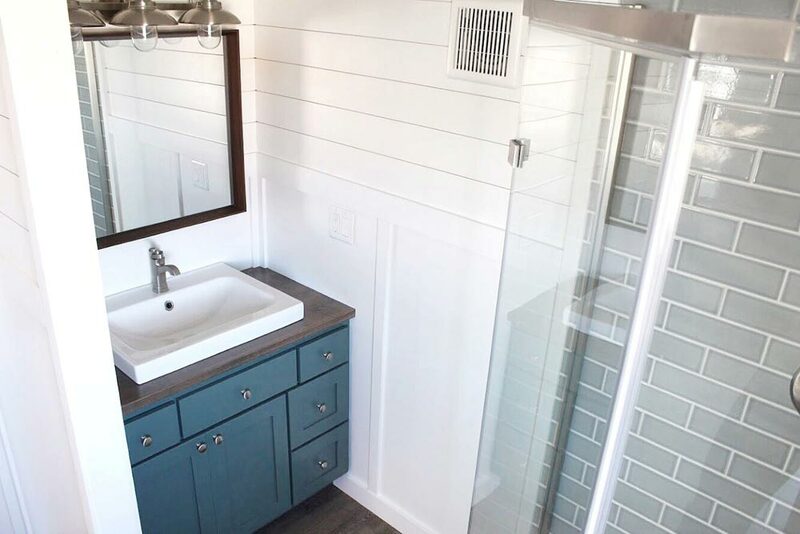 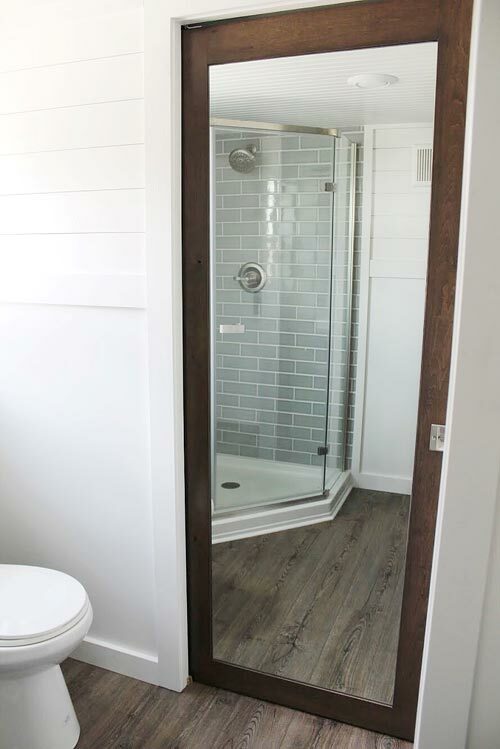 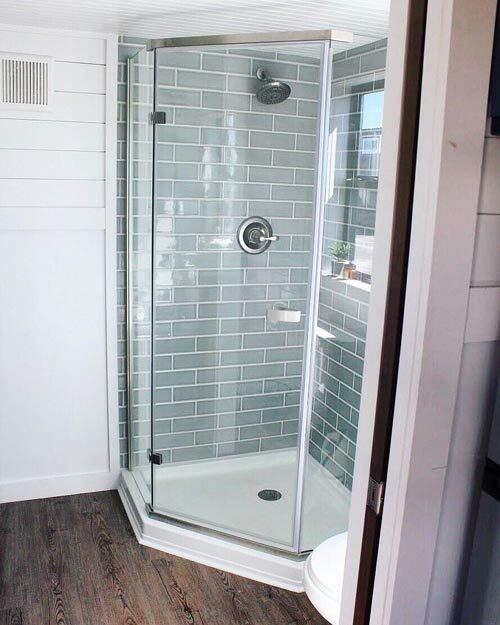 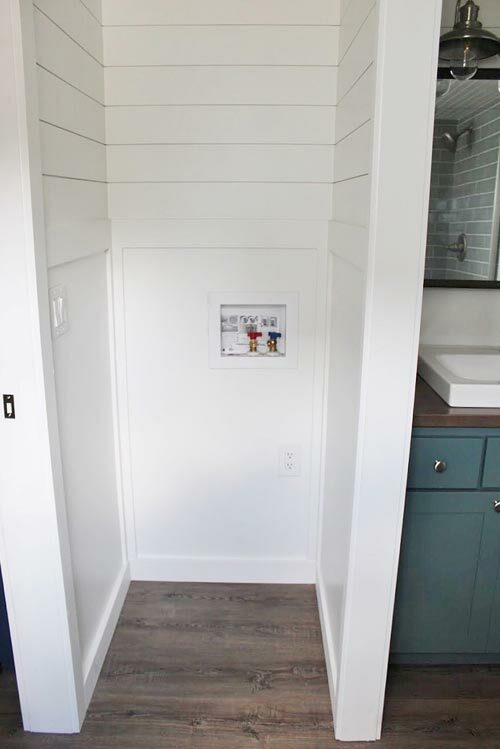 A pocket door leads into the bathroom where you’ll find room for a washer/dryer combo, teal green vanity, corner glass shower, and flush toilet. 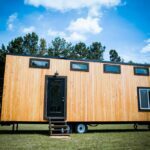 Prices start at $68,000 for the 28-foot model. 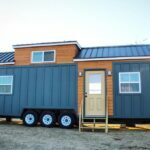 For more information about the Juniper, please visit Mustard Seed Tiny Homes. 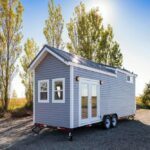 Also available from Mustard Seed Tiny Homes: Cypress, Everest, Sprout.